A Casa Doina Airport, is located in a large and beautiful house surrounded by a large parking lot owned, in the quiet residential area at Pisa airport, only 3 minutes walk from the terminal and railway station, from where you can get very easy to the historical center of Pisa Learning Tower and Piazza dei Miracoli. 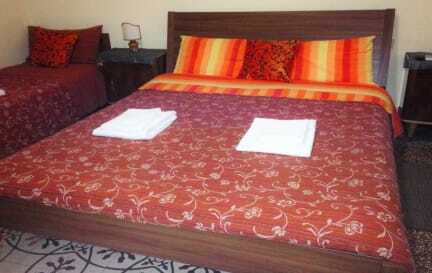 Organized with comfortable rooms, here you are going to feel like at home, with a family atmosphere and pleasant. 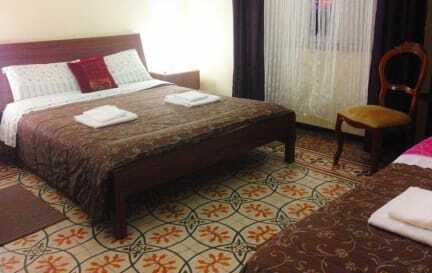 Arranged very beautifully and elegant, the rooms are equipped with large windows, shower and hairdryer, TV, free wireless internet access in all rooms. The bathroom come either with shower. on the room with kettle,coffee/briosh ,milk. Note: Payment in cash or Credit Card upon arrival. We accept: Visa, Mastercard, American express, JCB. B&B A Casa Doina Airport is located 1 km from the center of Pisa and just 80 km from the center of Florence, accessible by all modes of transport. The reservation may be subject to verification of warranty, by pre-authorized amount of the stay, in case the credit card verification is negative, there is no guarantee the reservation, and when you arrive you may not be accepted the only condition that by law to maintain the reservation, is to guarantee it with a valid credit card and chargeable. Payment by cash or credit card, will be made at the time of check-in with presentation of valid documents of all the components that will make your stay. The city tax is not included in the price of Euro 1.50 per person per night is not included in the price and must be paid for separately, and only in cash. We do not service 24 hours, and since we may be temporarily absent, please notify us by phone or e-mail for best to communicate your arrival time at least the day before, but at least two hours in advance for reservations made on the same day the date of arrival. If you arrive in the structure without having previously notified the arrival time, and did not find anybody to accept it, will have to call the phone number on the reservation that will always be communicated to the maximum available until 23:31 pm at the latest, and wait 30 to 45 minutes, which the girl at the desk side return, provided that the request is made no later than 22:30 pm, so it is always advisable to make sure that there are times you need, and you do not go over the maximum time check-in. Those who arriving and finding no one waiting for him to decide to go away, it will be treated as no show and charge penalties stipulated.